When Daniel Cisneros graduates in the spring with a political science degree, he will not only be reaching a personal milestone, he will become the first in his family to earn a four-year college degree. As a Hispanic student and president of Chicanos in Law at California State University, Fresno, Cisneros said his mother always encouraged him to go to college and earn a degree. 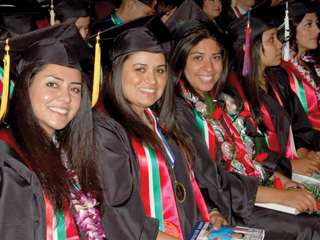 Stories similar to Cisnerosâ€™ are becoming more and more common at Fresno State as the number of Hispanic students graduating with bachelorâ€™s degrees increase. 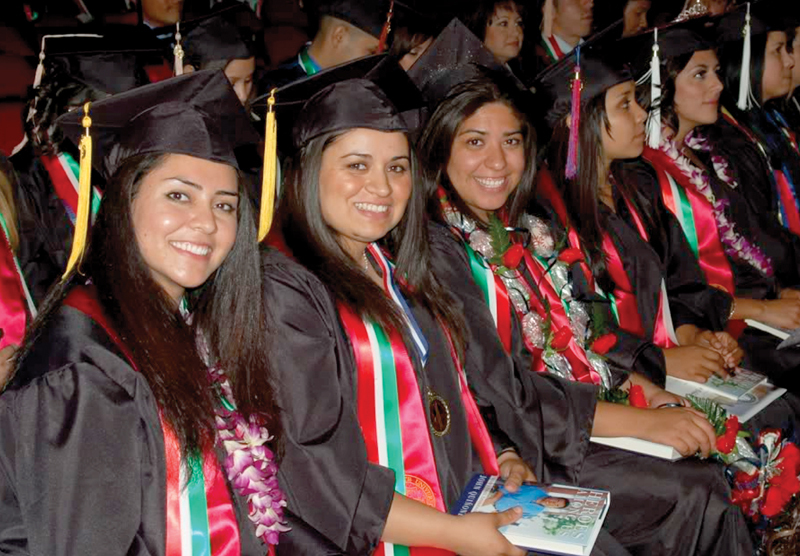 The Hispanic Outlook in Higher Education Magazine recently ranked Fresno State 18 out of 100 schools in the nation for awarding bachelorâ€™s degrees to Hispanics in the 2007-2008 school year. Dr. Luz Gonzalez, dean of the College of Social Sciences, has watched the number of Hispanic graduates increase. Gonzalez said the top 20 ranking speaks highly to the collegeâ€™s ability to teach to a diverse population and different learning styles, in her 21 years as a faculty member at Fresno State. Frances Pena-Olgin, director of University Outreach Services, said the process for recruiting Hispanic students involves visiting high schools, community colleges and college fairs and informing parents about the opportunities, scholarships and financial aid available. University Outreach Services strives to create and promote a college-going culture among Hispanics, Pena-Olgin said. For many first-generation Hispanics the decision to attend college can be scary and unknown. In order to help with the transition to a four-year school, Pena-Olgin said the University Outreach Services sends college ambassadors, who are current Fresno State students, into local high schools to serve as role models and mentors to Hispanic students. Invested faculty members, mentoring programs, cultural celebrations and annual events like the Latino Commencement Celebration help to recruit and retain Hispanic students at Fresno State, Gonzalez said. To further encourage Hispanic students in pursuing a degree, Gonzalez said emphasis in math and English is required from kindergarten through 12th-grade to better prepare students for college level courses. Pena-Olgin said a special outreach to Hispanic males is also needed as more Hispanic women attend college than Hispanic men. According to the Institutional Research, Assessment and Planning Web site, the number of Hispanic students enrolled at Fresno State in 2008 was 7,392, or 32.7 percent of the total university enrollment. To boast that Fresno State is in the top 20 schools nationwide for graduating Hispanics means that the college is doing a great job in educating the largest minority population in the state, Gonzalez said.